Google produced a Machine Learning Crash Course earlier this year which helped in introducing Machine Learning and its application to the developers who wanted to extend their skills. Originally this course was designed for Google employees to learn about Machine Learning but after some time, it was made accessible to everyone for free. Learn with Google AI has now added a new practicum which is focused on image classification and its subdomains. These resources as a whole are desired at helping developers who are new to the field of Machine Learning, to use it more and more and to help them integrate ML into their own pre-existing or developing services and applications. Google received various feedbacks on the crash course being good but not covering the advanced topics. Considering the demand, Google has recently launched a Machine Learning Specialization course in collaboration with Coursera, and has modified the curriculum of its free crash course and updated it by adding practicum for image classification. Google, while developing this practicum has considered in mind, a developer would like to learn from the professional teams in the field who already have built and deployed Machine Learning models. Google has also stressed on what challenges they faced and how they encountered the success in their models, how they solved a problem and what made them reach to any decision or made their decision making relatively easy. Considering all this in mind, Google chooses its own company’s image model experts and made them work side by side with Google’s AI team developing this course to understand the need and what points to keep in mind and thus together created “Machine Learning Practicum on image classification”. Machine Learning Practicum on image classification is an interactive course which walks out developer over the essentials of image classification and their methods and later on instructs them on using tools to build convolutional neural networks. This practicum not only includes videos but is well supported by rich useful proper documentation support, interactive programming exercises, illustrating how Google developed the state-of-the-art image classification model powering search in Google Photos. 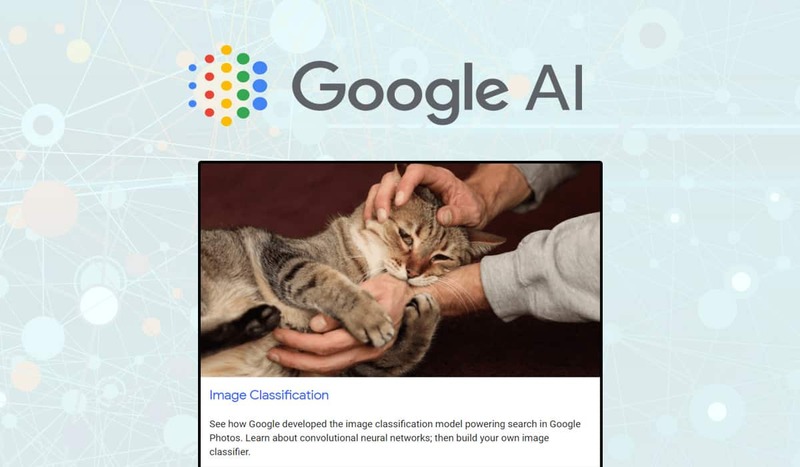 To date, more than 10,000 Googlers have used this practicum to train their own image classifiers to identify cats and dogs in photos. Said Google’s officials on this practicum. This crash course in Machine learning by Google is still on developing stage and we can witness furthermore such additions to it in coming months, similar more Practices will be launched after the success of this Practica and as we can see on Google’s website it mentions more Practica coming soon, thus we can surely hope for it in near future. Hi I Am Dushyant Kumar and work as Broadcast IT Automation Engineer and very crazy about AI development would love to learn more and more about it.